Facebook has once again updated its advertising policies. This time the social media giant is cracking down on content related to guns, explosives, and other weapons. Facebook has banned advertisements relating to the sales of guns since 2016, but it is now turning its attention to the sale of firearms-related accessories to minors. The social network’s updated pollicies will allow companies to advertise scopes, holsters and belt accessories, firearms safety and training courses, and other such wide-ranging products and services — provided the minimum target age is at least 18. That being said, Facebook is currently facing a lot of scrutiny regarding its advertisement and data policies. In addition to the scandal involving Cambridge Analytica, the social network has often been accused of being less than forthcoming about how its advertising works. These updated perameters, which are said to go into effect on the June 21, may simply be Facebook’s way of ensuring everyone is on the same page when it comes to weapons-related services and products. 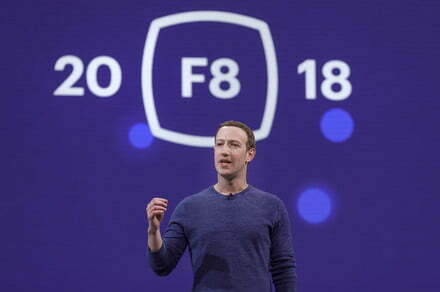 Facebook gave little in the way of details regarding why it chose to update these policies. It is possible it has to do with the recent school shootings in the U.S., but this hasn’t been confirmed. The policies still forbid the sale of weapons and ammunition regardless of the targeted age group. Furthermore, these guidelines also include non-lethal weapons such as pepper spray, BB guns, or even paintball and airsoft guns. The latter are used for entertainment rather than any form of self-defense, though the ban on airsoft guns does make sense considering that many of them are designed to look like actual firearms. A concern here is that someone could try selling real weapons disguised as airsoft guns.